On ubuntu, lots of software can be installed from the launchpad ppa repository. The repository url has to be added to the apt sources list on ubuntu and then the software can be installed from the package manager like synaptic. However for Debian there is no such ppa repository. 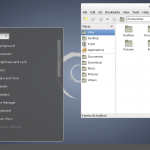 But since ubuntu is based on Debian and uses the same apt based package management system, in many cases its possible to use the ubuntu ppa repositories in debian directly. 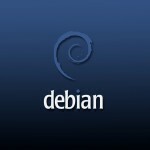 On debian 7 the add-apt-repository command is available and can be used to add any launchpad ppa repository in a single command. The section titled 'Technical details about this PPA' will contain the deb urls for the given ppa repository. The ppa shown above can be found at https://launchpad.net/~shimmerproject/+archive/ppa. On older versions of debian, if the add-apt-repository command is not available, the the repository can be added by manually editing the /etc/apt/sources.list file and adding the key with apt-key. The key can be found on the launchpad website under the section titled 'Technical details about this PPA'. Check the signing key portion after the forward slash. That is the key to use in the apt-key command. Now update the apt cache and get the new softwares listed in synaptic. You not need to add first apt-get install software-properties-common python-software-properties? How do we remove a ppa in Debian 7(.7) ? It added the ppa to my sources.list but it was invalid and I got an error when apt-get update. Am I doing something wrong?